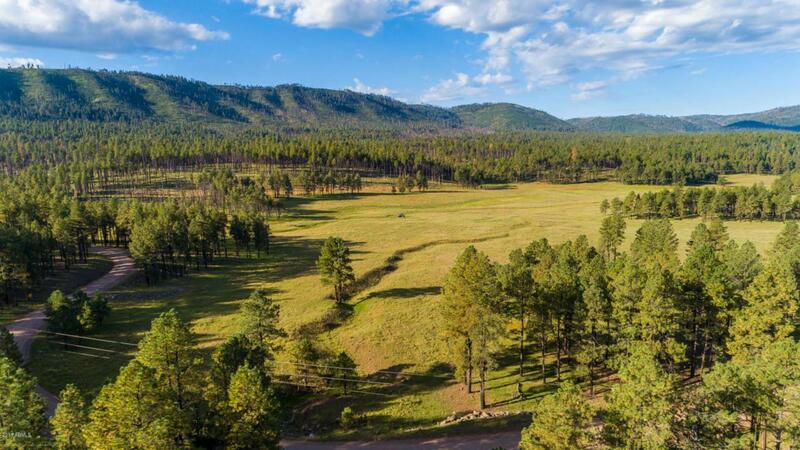 Build your dream getaway amid the prime hunting area rich w/wildlife: elk, wolves, foxes, turkeys (Section 27). Nestled near the town of Alpine in magnificent White Mountains country; elevation 8,000+-feet. Close to lakes, rivers, fishing habitats. Property can be subdivided and seller is willing to sell as two separate parcels of 8 acres for $425,000 and 9.25 acres for $475,000.